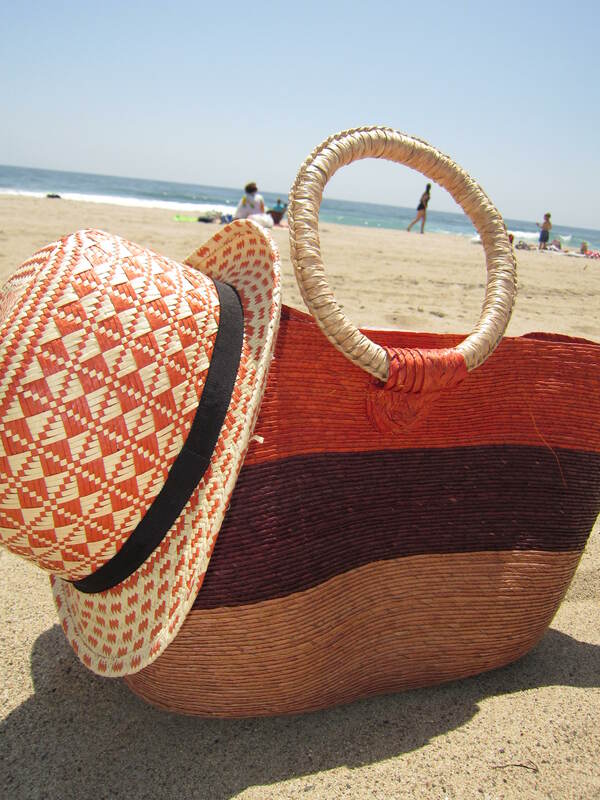 A beach bag is an essential Summer accessory and there are so many amazing options to choose from. There are different colors (from bold neon to earth tones), shapes (bucket, rectangular), and materials (printed fabrics to natural fibers). There is a bag that suits every Summer outing. It’s just a matter of finding the one that meets your needs. 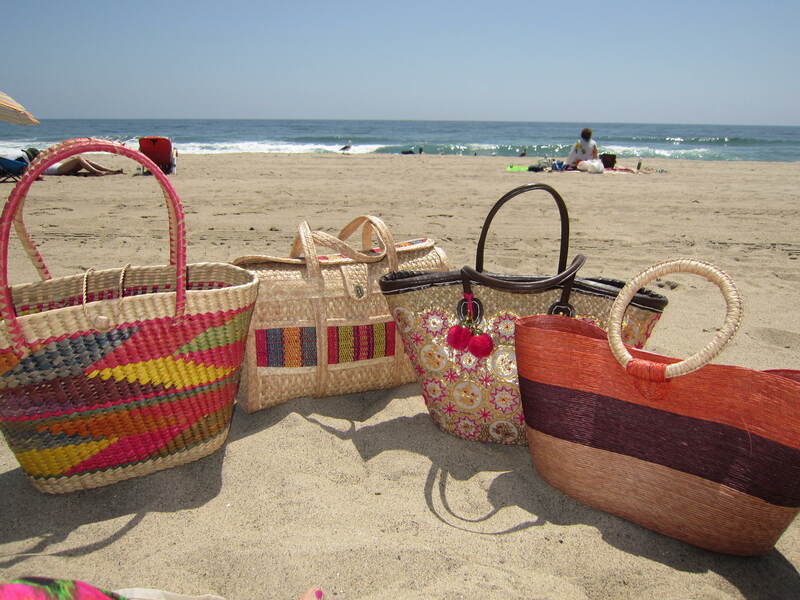 I have a small collection of beach bags, most of which I have purchased while traveling in Mexico over the years. It may seem like I went overboard but they all serve a different function, depending on my plans. The first is this medium size multi-colored bucket bag. 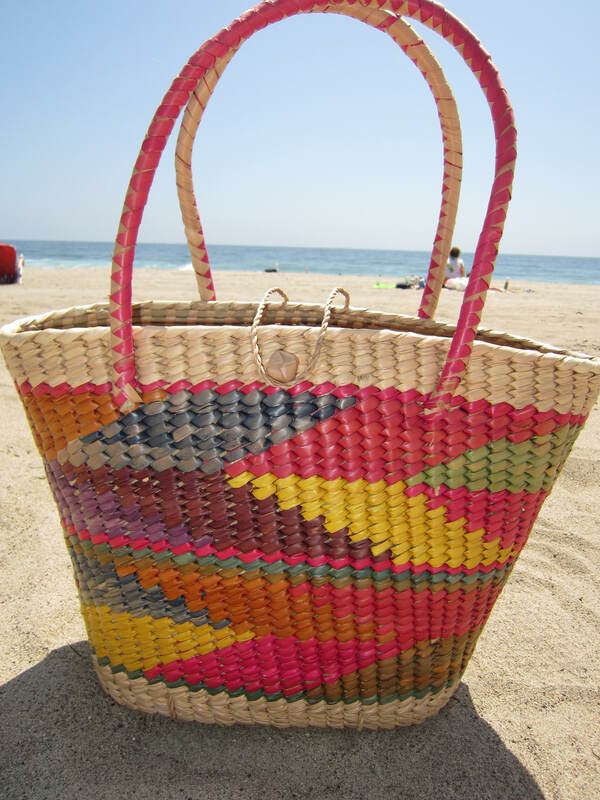 It’s made of strong, woven fibers and the colorful design is a great pop of color for any beach outing. It’s large enough to hold all the beach essentials like a towel, sunscreen, water bottle, magazine and a change of clothes. It is a bit heavy without anything in it but it won’t lose its shape and will last through the years. 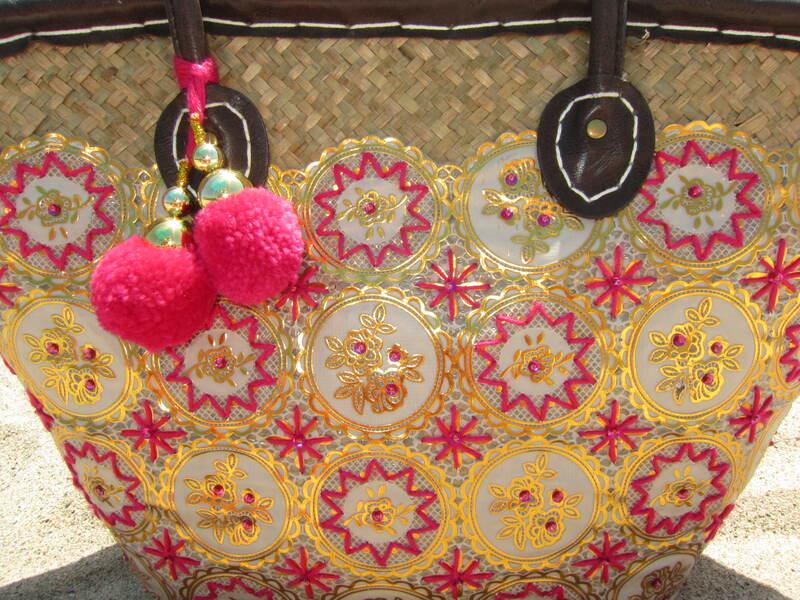 Pair this bag with a colorful necklace and you are beach ready! Collar Necklace from Forever 21. Multi-strand beaded necklace from Ross. The second is my most used beach bag, probably because of its size. It’s the largest bag I own and holds the most. It’s a thinner material, making it lightweight. The dual straps make for easy carrying and the top flap and closure keep everything inside. I like the neutral color with the small woven detail across the front. 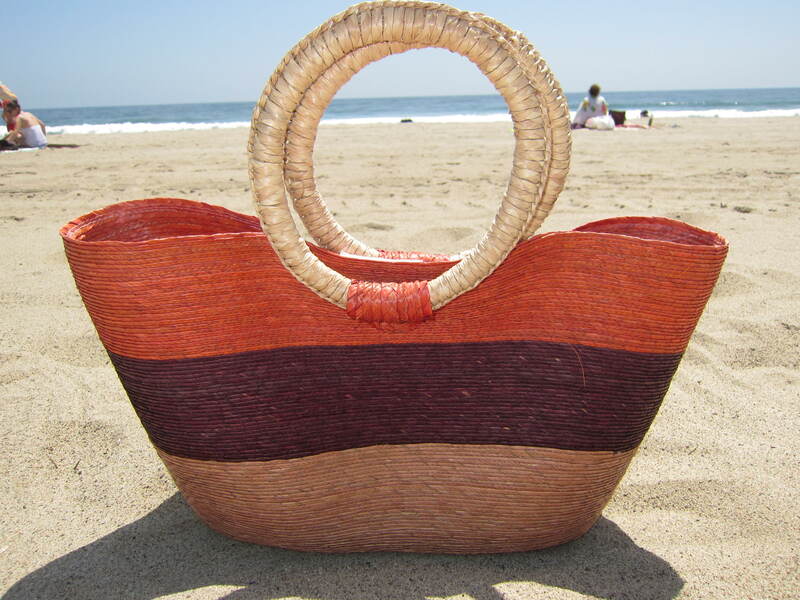 This size bag is a must have if you are a beach regular. My third bag is more like a Summer handbag. The graphic solid stripes are a great accent to a printed Summer dress and the warm terra-cotta colors would look beautiful against a white dress. I love the unique ring handles but they limit the way you can carry this bag. This bag is perfect for a Summer lunch date or to carry a few items down to the pool. This is not going to be your Summer workhorse bag. It’s too delicate and stylized. The last bag in my collection is the most detailed. I bought this bag last year at Target and it’s a wonderful multi-purpose bag. The intricate detailing, beading and hot pink tassels reminded me of India and Thailand and I LOVE anything ethnic that oozes global charm. This is a well made bucket type bag with strong straps and one small inner pocket. I’ve used it for the beach, the pool and the flea market. It’s a great beach bag when you want that extra sparkle! 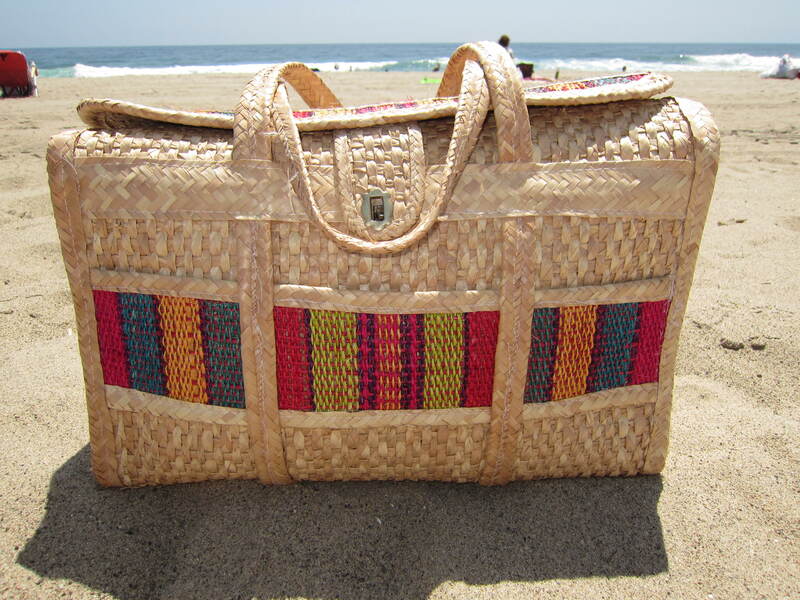 I love having a variety of beach bags to choose from and it’s a useful souvenir to purchase when traveling. 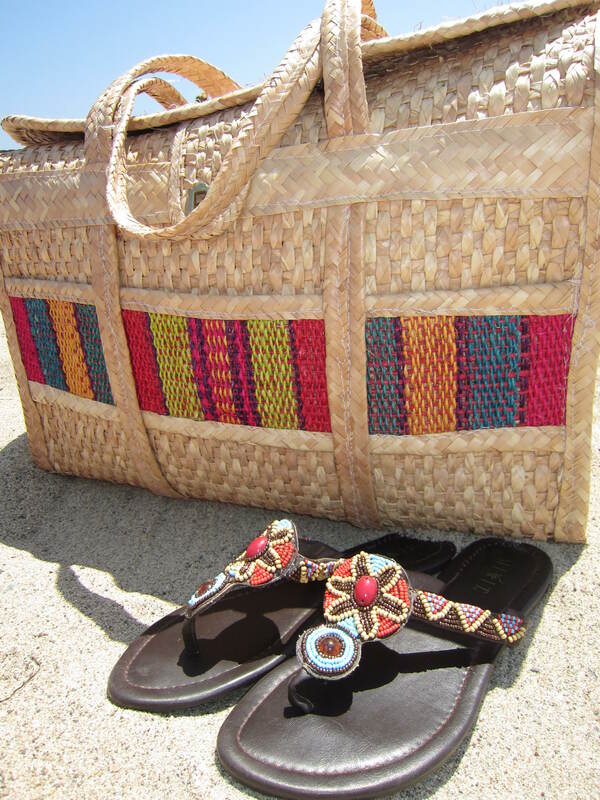 The biggest tip I can give when purchasing your beach bag is to make sure it meets your Summer needs! 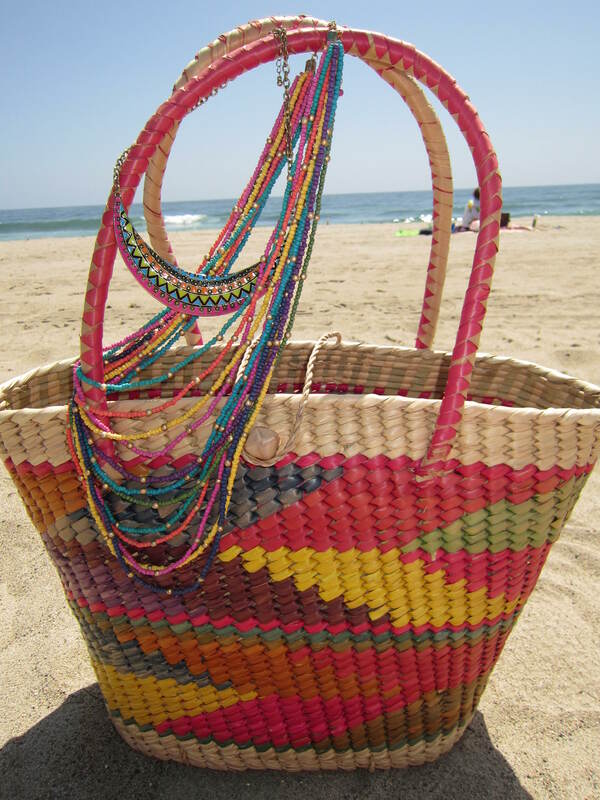 If you’re a beach babe, a pool goddess or a boardwalk beauty, your beach bag should reflect your fabulous Summer style!